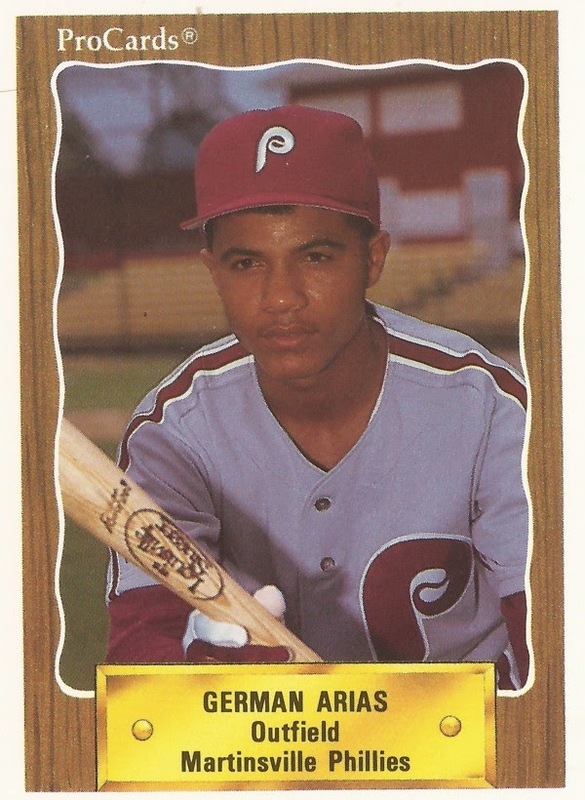 Phillies minor league coach Roly DeArmas had a group of players fresh from the Dominican Republic. Among those players was German Arias. To The Philadelphia Inquirer, DeArmas explained the importance of those players coming to the United States learning the language. "The kids that seem to advance through the minors the fastest are the kids that pick up English the fastest," DeArmas told The Inquirer. "The smarter players are the ones who get ahead." For that group of Dominicans, though, only one made it past that first year. Others played that one season, some didn't play at all. Arias was assigned to rookie Martinsville. He was one of the players who didn't play at all. Arias was 17 years old that year. He wouldn't turn 18 until that October. He came from Bani, D.R. He was 5 feet, 11 inches tall. He weighed 150 pounds batted right and threw right. He also didn't get into a game.